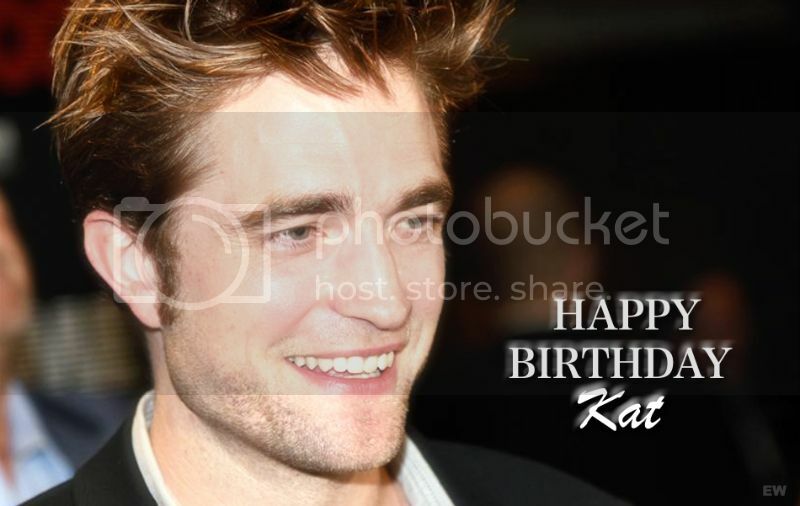 ROBsessed™ - Addicted to Robert Pattinson: HAPPY BIRTHDAY KAT!!! It's another year older and wiser for our favorite Brit! No, not Rob. That's a dark secret we hope Rob never knows about. He's our second favorite because all our love and wishes of happiness first go to Kat! Please, no one tell Rob. It's rather embarrassing to run ROBsessed and he's actually second fiddle when we're ranking Best Brits. At least we balance out that problem by making all 29384703639084 posts about him and 1 about Kat. Now have a "good time" with Rob as he wishes you Happy Birthday!